April 24, 2017 By Claire Davidson & filed under Blog. Craving tacos, empanadas, burritos, and more? 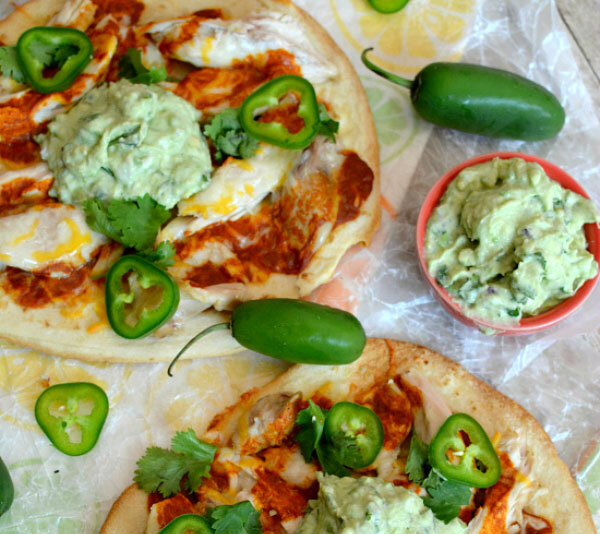 You don’t have to ditch your favorite Mexican fare because you’re trying to eat healthier. The trick is to skip the fast food and instead opt to make those deliciously authentic, fresh Mexican meals at home. 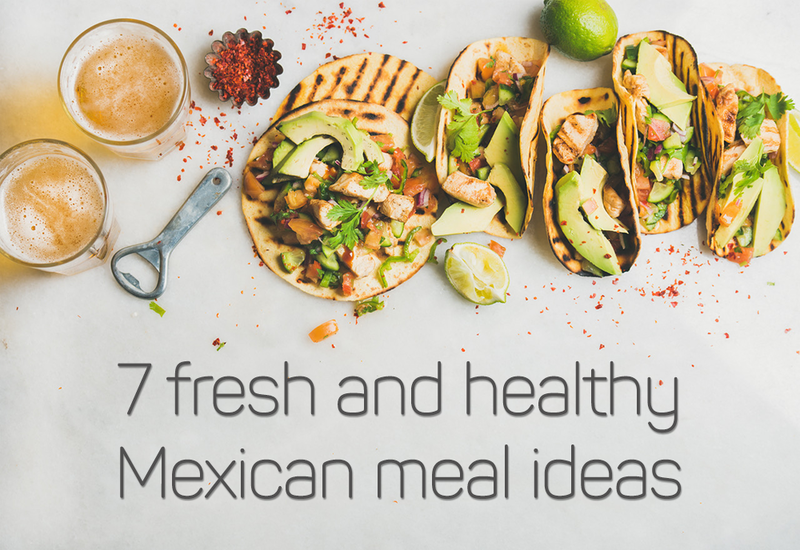 From burrito bowls and enchiladas to savory smoked sausage chilaques and superfood taco bowls, here are some of our favorite healthy Mexican meals. Serve any of these tasty recipes with a side of this delicious Mexican street corn and you have a healthy, flavorful meal that’s sure to please everyone. This lightened-up version of a fast food favorite saves you more than 300 calories and 19 grams of fat and is just as delicious! 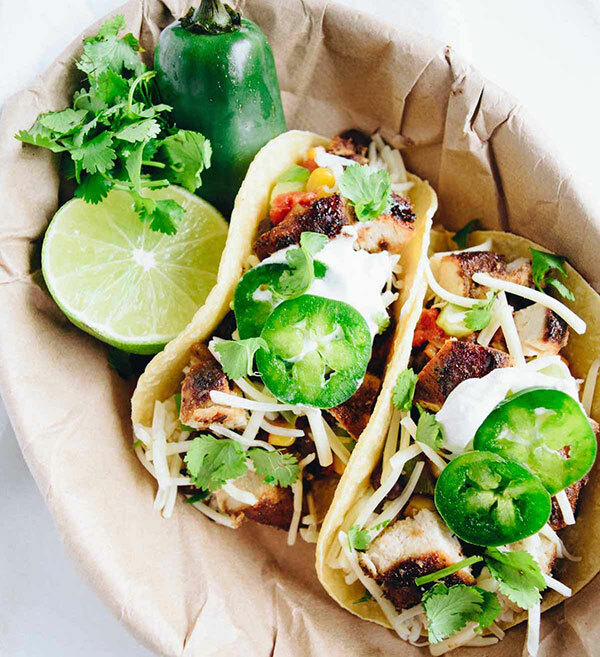 Filled with mouthwatering seasoned chicken, tons of fresh veggies (like peppers, onions, corn, and black beans), and all your favorite Mexican toppings, these burrito bowls are the perfect protein-packed weeknight meal your whole family will love. Just a few simple ingredients are all you need to make this lightened-up version of a traditional Mexican favorite! It’s low-calorie, low-carb, and packed with protein, helping to keep you satisfied all morning. The best thing about this tasty breakfast is you can change the toppings or mix-ins according to your preference; you can always add in different veggies to get an extra serving or two in before you even leave the house! 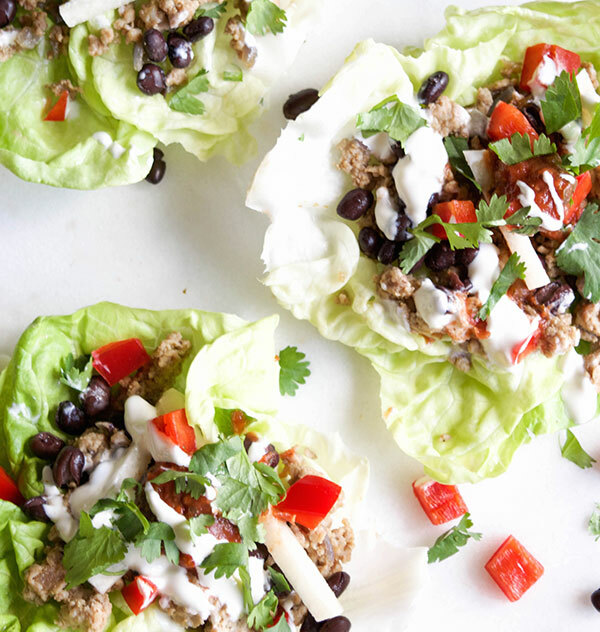 These tasty taco cups are perfect for busy weeknights or entertaining, because they’re no-fuss and offer tons of versatility and ease because everyone can add their own toppings. We like to use a bit of Greek yogurt instead of sour cream with recipes like these to make them even healthier but just as tasty. 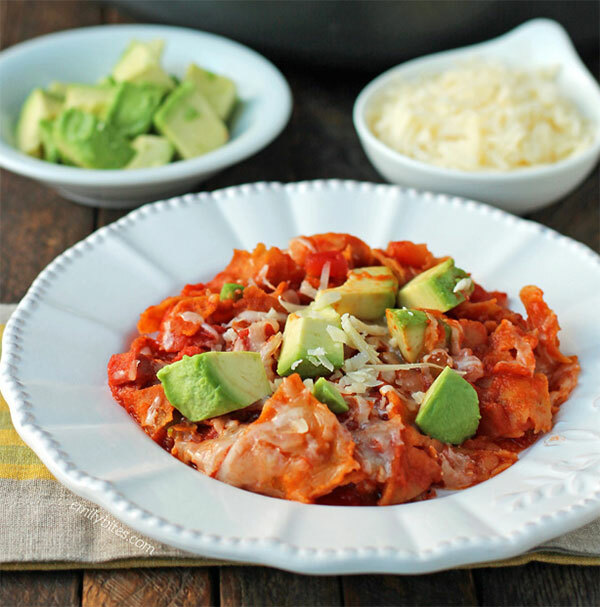 Full of amazing southwestern flavors, this low-carb recipe is always a hit. Meal preppers, unite! 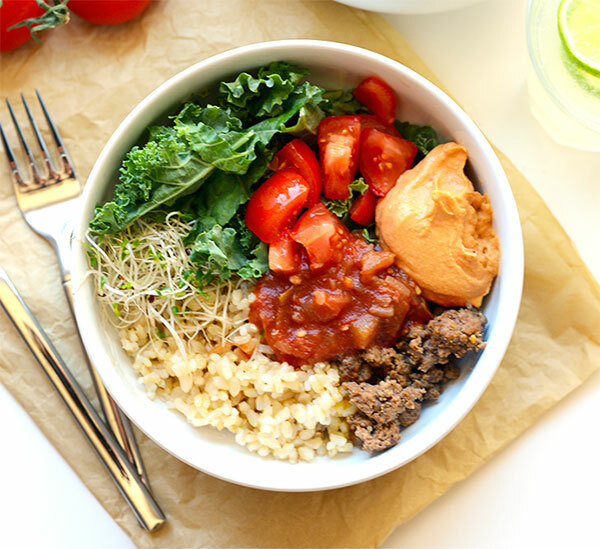 You can prepare everything for these tasty superfood taco bowls at the beginning of the week and enjoy nutritious, hassle-free lunches or dinners all week long! Using brown rice instead of white rice, kale instead of lettuce, and sprouts instead of cheese, this meal is truly filled with superfoods that will fill you up but still keep you fit. When something is as delicious as it is simple, it always makes for a winning dinner idea. 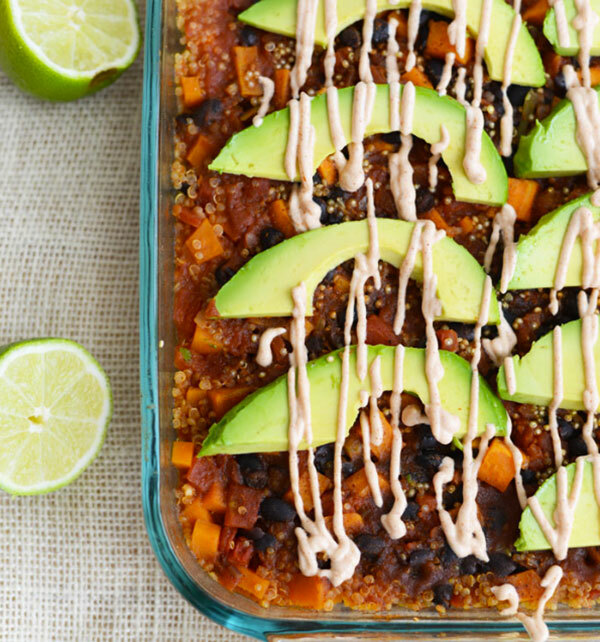 To make this Mexican casserole, you just need to combine all the ingredients into a baking dish, stir, and pop in the oven. Prep time is less than 10 minutes and that makes us very, very happy when we have busy days and hungry mouths to feed! 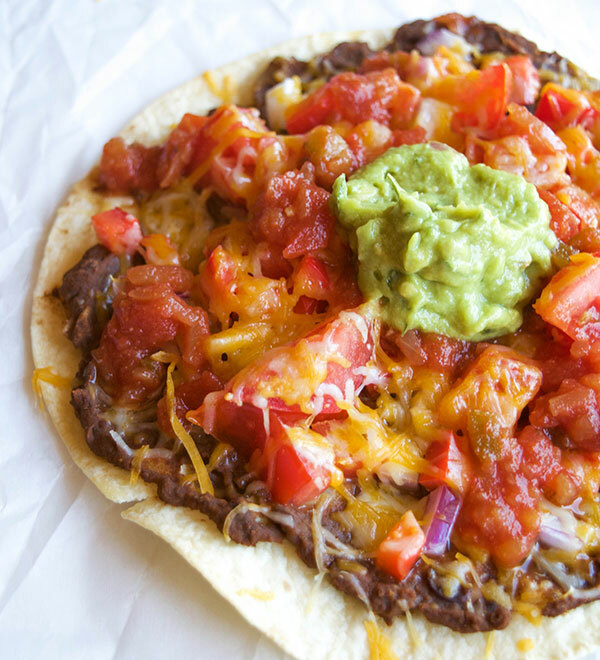 When your kids are torn between pizza and tacos (decisions, decisions), they’ll love this recipe that combines both while still being healthy! This simple recipe is a no-brainer; it just requires a few simple ingredients that you probably already having lying around the house and voila, you have a tasty dinner everyone’s happy with! At just 370 calories, you can spice up this recipe by adding salsa or guac and still feel like you made a healthy choice for dinner. What’s ready in 15 minutes and satisfies your craving for delicious Mexican food? These skinny enchilada tostadas! They’re filled with flavorful cilantro, jalapeños, enchilada sauce, and an irresistible avocado crema sauce. Need we say more? This tasty dish is sure to become your new go-to recipe when you want dinner to be anything but bland. What’s your favorite healthy Mexican dish? Let us know in the comments!